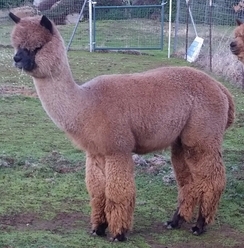 Openherd: Renaissance Ridge Alpacas - Get great deals on alpacas in Openherd auction lots! wonderfully fine and dense fleece! RR MARY QUEEN OF SCOTS-Grey Maker! 3x Champ, Proof is in the Progeny! Quality breeds quality, at least most of the time! 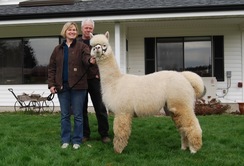 A quick look at RRoyal Stars ARI certificate will illustrate just how painstakingly the Skinners, at Snowmass Alpacas, constructed their breeding decisions to arrive at this offspring. There's Gold in this pedigree. Legacy Gold that is. He is a magnificent sire out of Legacy. 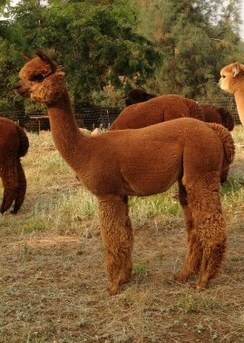 Encantada's mom is one of 2 of his daughters that we purchased to bring those incredible lines to our herd. Golden Dreams, Encantada's mom, has Drambuie's Kaluha as her dam. If the name Drambuie's Kaluha sounds familiar, it might be because she is also dam to Snowmass Nova, Snowmass Drambuie's Braveheart and Snowmass Magic Midnight. She's clearly proven her worth. We are thrilled by the production of RR Rose La Reina, Dizzy Gillespie's mom who produced the 2 densest females biopsied through Ian Watt, as of oct 2015. The icing was on the cake with the coming of Dizzy Gillespie who has a superior phenotype in solid rose grey, with fleece "to die for". He is the 2017 AOA National Fleece blue ribbon grey, both rose and silver combined.